What to look for when evaluating an IT provider for your alternative investment firm. Every investment firm has its own unique IT requirements. 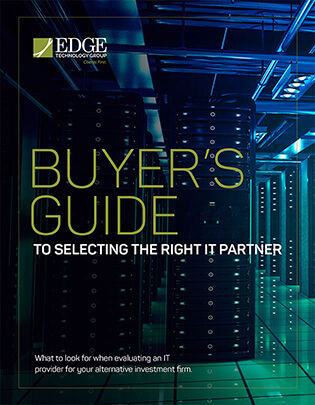 Our latest Buyer’s Guide to IT Support will help explain everything you need to know about implementing IT solutions at your firm.